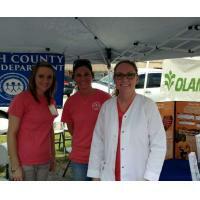 Welcome to the Worth County Public Health Department, serving over 21,000 citizens. Our mission is to prevent disease, injury, and disability; promote health and well-being; and prepare for and respond to disasters. MissionTo prevents disease, injury, and disability; promote health and well-being, and prepare for and respond to disasters. A lean and responsive state government that allows communities, individuals, and businesses to prosper. A Georgia with healthy people, families, and communities is a place where public and private sectors pool their assets and strengths with people to promote health for all. Decisions are made in harmony with economic and environmental concerns, as well as with healthy human development. A healthy Georgia is a state with dynamic and healthy communities. In healthy communities everyone is welcome and belongs; people respect each other’s cultural heritage. They care for and help each other, and protect their surroundings for recreation and reflection. Healthy communities are safe places for people and families to live, work, and play; they have adequate food and housing, quality education and training for children and adults, jobs and suitable public services.